Walking around the Engaged studio, you’ll likely hear us creatives dropping well-known idioms into conversations every day. After all, when your team members and clients are this awesome, we spend most of our days “in seventh heaven” and walking “on cloud nine!” Then when you add in the southern-isms we’re prone to say it’s a wonder we’re not speaking in code at this point! Giving a gift is like chicken soup for the soul. We get to delight in the knowledge of making someone we love happy; to show them we think of them, even when time and distance play their parts, and care enough to let our actions speak louder than words by giving them something special. If gift giving is a sundae, at Southern Chic Boutique we believe adding a personalization is like adding “the works” to your gift — the chocolate syrup, the candied walnuts, and the cherry on top! Not only is it special to a specific someone, it also tells us their story. Who they are. Personalizations don’t just mean names and monograms to many of us — they mean heritage, ancestry, and tradition. Here in the south, we’re no strangers to monograms that’s for sure! With so many options, fonts, and formats out there, we thought we’d walk y’all through some of the classic personalizations we like to use in our designs, and show you how you can make your next gift that much more special! Wondering how to arrange your initials to form the correct monogram for you? Here is the etiquette for creating classic three-letter monograms for women, men, and married couples. 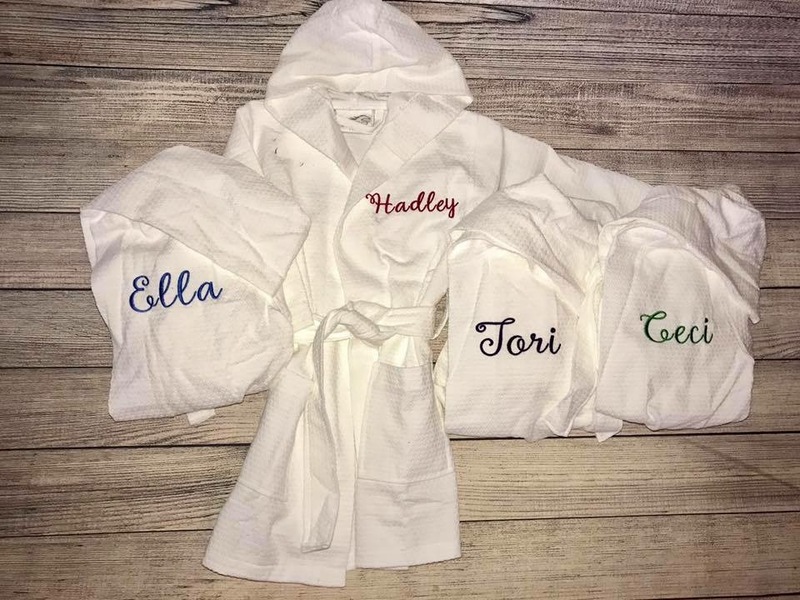 For Her: Order the initials “First, LAST, Middle” (last name initial sized larger). For Him: Order the initials “First, Last, Middle” (all initials the same size). For Married Couples: Order the initials “Her First Name, JOINT LAST NAME, His First Name” (last name initial sized larger). 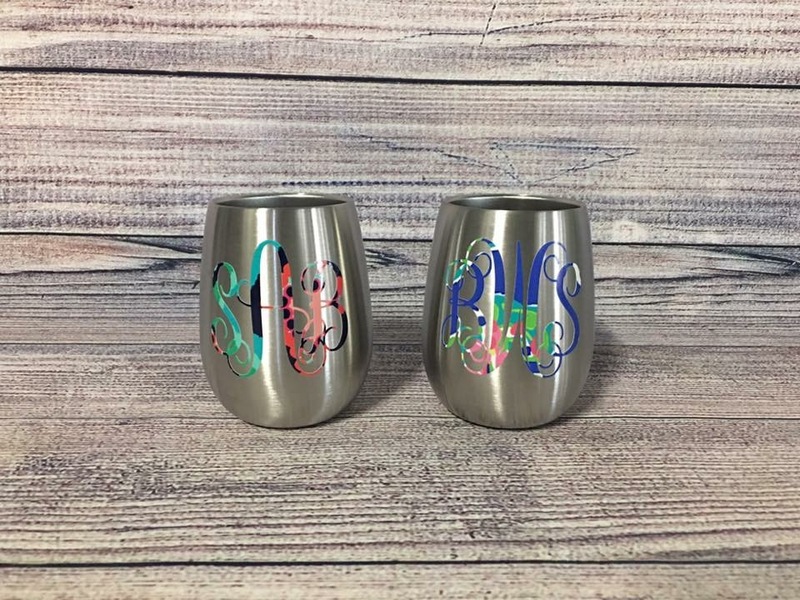 Monogrammed gifts are especially popular for newlyweds! Brides, grooms, and their friends and family find adding personalizations to wedding gifts and attire extra fun as they communicate the joining of hands in marriages — new rings, new lives, new names! 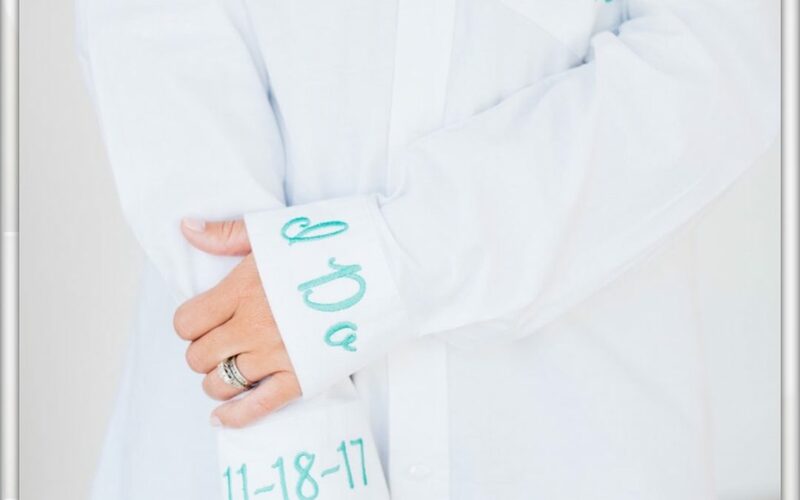 We love adding monograms to men’s shirts or full names to robes for brides and her bridal party to wear while getting ready. Another fun newlywed gift idea? 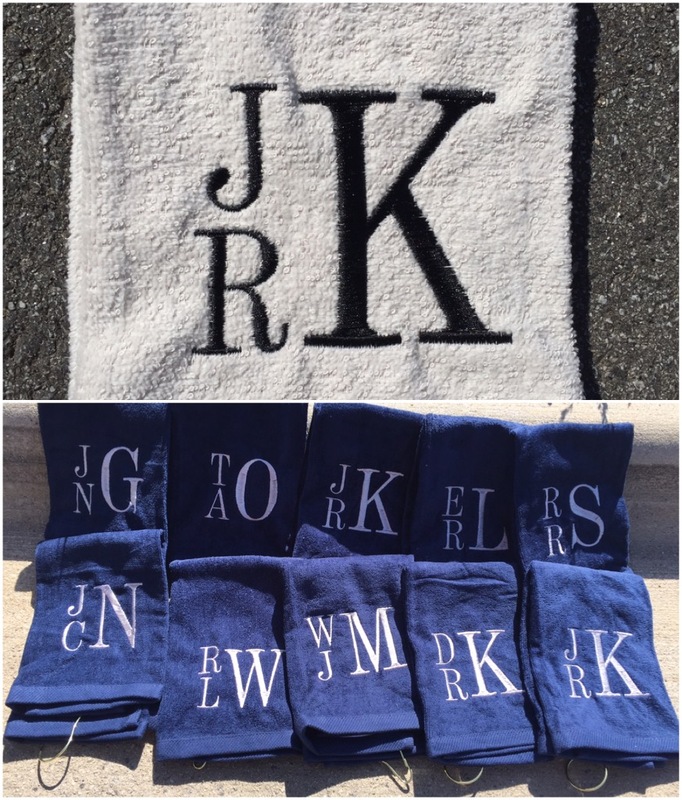 Monogrammed towels for the happy couple to use in their home they will soon share together. While you can never go wrong with a classic approach, we love to make our clients’ monograms all their own! Here are a few techniques we like to use to add variety and personal flare to our personalizations. Keep it simple with a one-letter monogram of your last name’s initial. Try a different font or format! If you typically gravitate towards an interlocking design, go for a circle block or stacked design. Make your monogram stand out by adding frames or accents. Stitch your monogram on a patterned patch of fabric to add to hat or piece of clothing to add a pop of print! 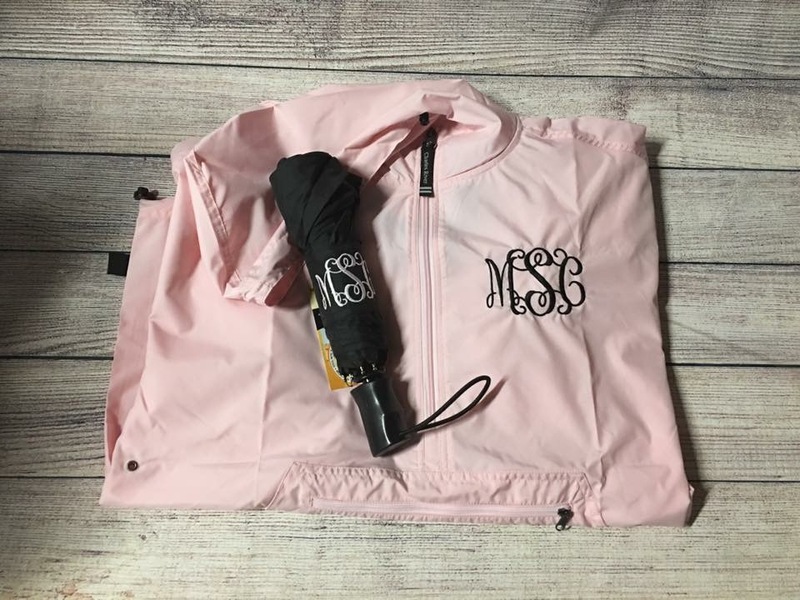 If you’re mad for monogramming like we are, we think it’s important to mix up your fonts and designs to avoid everything looking the same. A good place to start: choose a different font and/or format for different members of your family! This makes everybody’s personalized items even more unique (and easier to identify when sorting out your kids’ gear!). Monogramming may be our bread-and-butter, but they’re not the only things we create in the Southern Chic Boutique! Our clients often come to us with an idea for a custom design they want made, and it’s our pleasure to bring their vision to life! 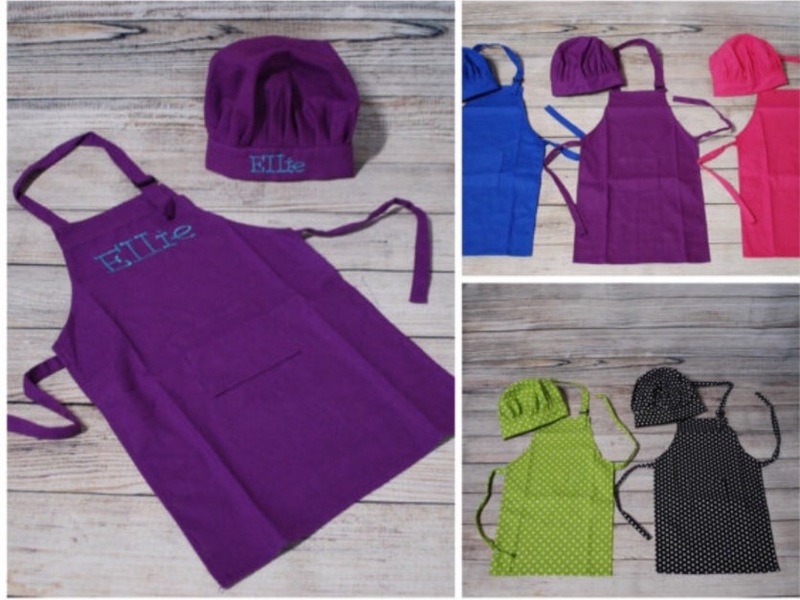 We can make customized items for all sorts of special occasions and celebrations. Here’s a sampling of personalized items we can create unique to you! 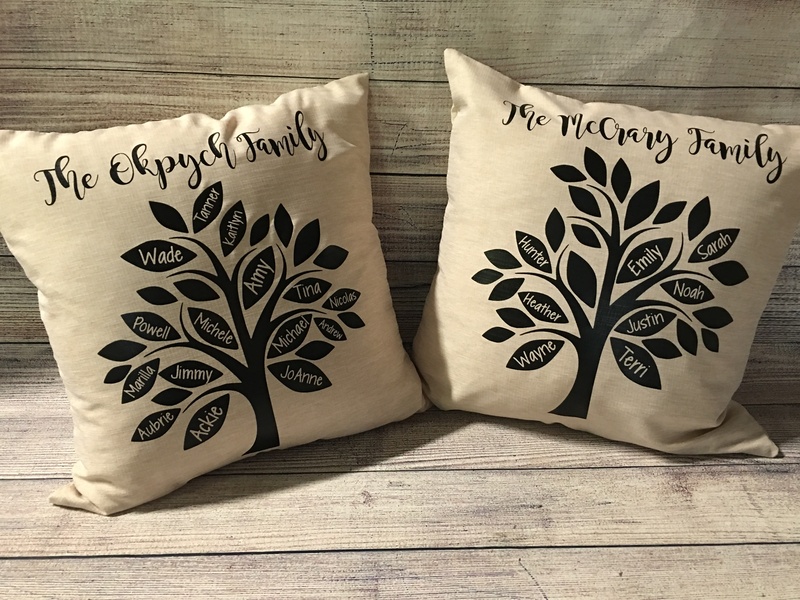 Family tree pillows or blankets. 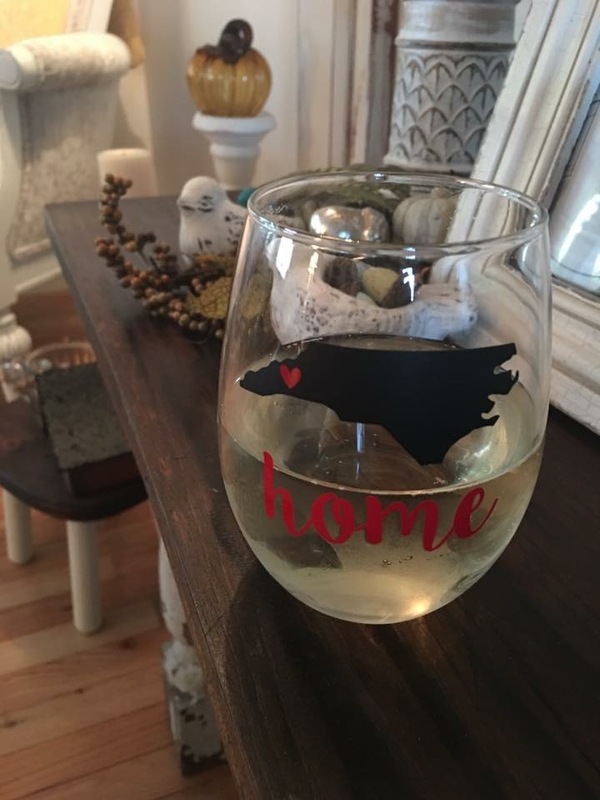 Tumblers with a silhouette of your state and a heart over your hometown. 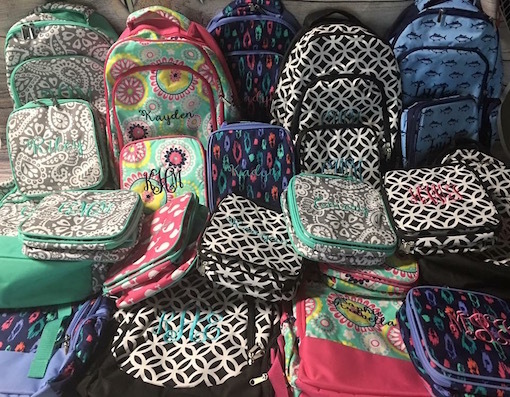 School supplies including backpacks and lunch boxes. 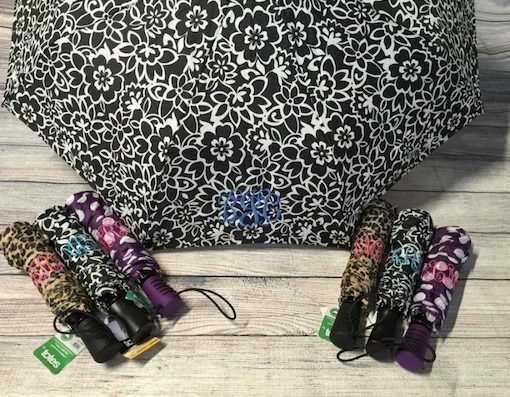 Coordinating rain jackets and umbrellas. 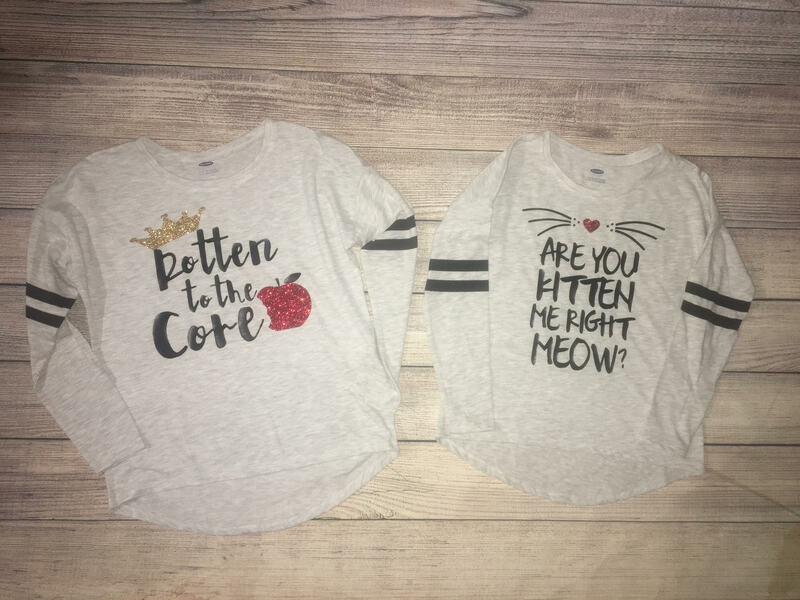 Customized t-shirts with your favorite slogan. Our personalized gifts are perfect for just about any gift-giving occasion. Weddings, bridal and baby showers, anniversaries, birthdays, Mother’s Day, Father’s Day, Teacher Appreciation Day, and Christmas are just some of the special times throughout the year (and our lives!) in which a customized gift is a wonderful way to show how much you appreciate the people you’re blessed to know and love. If you’re looking for that perfect gift, giving something that’s personalized will always stand out and show you took the extra time and thought to give something meaningful. Personalized items stand the test of time, bringing joy and happiness to people for years. Like we said before, there’s more to monograms and personalizations than meet the eye. Give a gift that will spark a happy memory, the loving remembrance of a namesake, or the joy of a special friendship. It really is amazing what a little bit of customization can do to make a special day or event memorable! Southern Chic Boutique is the answer to all of your personalization needs. If you can think it, we can create it! We can also design your ideas and personalize something unique and special to YOU. To learn more about Southern Chic Boutique or to contact them, please visit their website. Feature photo by Anastasiia Photography.